SHAFAQNA – Imam Ali Network : Virtues are sometimes acquired for a person due to deeds and their consequences and at other times it has no relation with his deeds. What is discussed in this chapter concerns `Ali’s acquired virtues as mentioned by the narrators. These acquired virtues are sometimes related to `Ali’s spiritual aspect and personality or it is related to his physical aspect. The virtues of Imam Ali (peace be upon him) had reached a high standard of greatness, majesty, to extent that it is ugly to account it and explain it. What can I say about a man whose enemies and opponents admitted his merit? They could not deny his attributes nor conceal his virtues. I knew that Umayyads seized the authorities of Islam in east and west of the earth and they worked hard all the tricks to extinguish his light, incite him, claim defects, and disadvantages to him and curse him on all platforms. They threatened his eulogists, locked, and killed them. They prevented narrating any Hadeeth about his virtue to the extent that they banned naming anyone after his name. Nevertheless, that raised his status and name. Imam was like musk when it was covered, its perfume spread, like the sun that cannot be covered with hands, and like day. What can I say about a man to whom all virtues were ascribed and he is the peak and fountain of virtues. All those who came after him followed his style and took advantage of his knowledge. The most honorable knowledge is the divine science, because the honor knowledge is linked to the topic and the topic is the most honorable in existence. 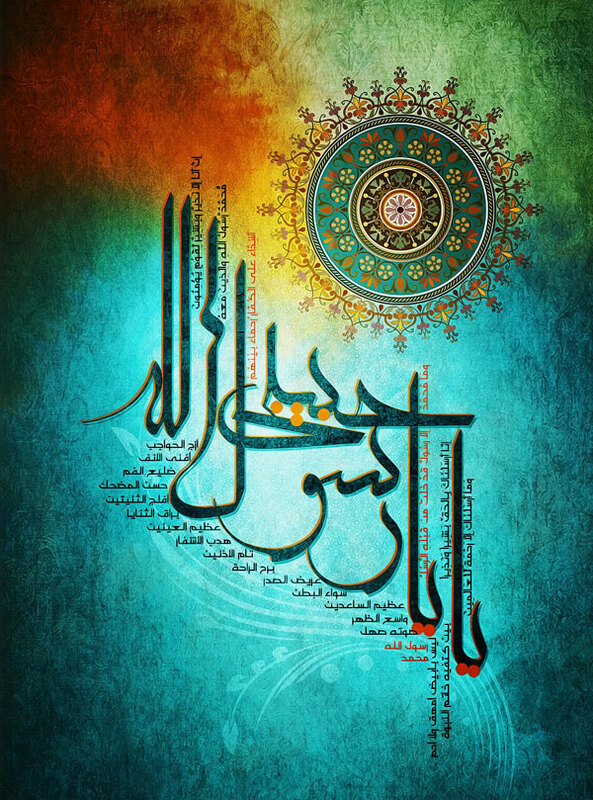 From the words of Allah: Holy Quran, Imam Ali quoted, narrated, to Imam Ali ended, and from him began the Mu’tazila. Mu’tazilites are the masters of monotheism, justice and thinking deeply. People – from them – learnt this art because their master is Wasil bin Ata’a who learned from Abu Hashim bin Abdul Allah bin Mohammad bin al-Hanafiya. Abu Hashim is the student of his father and his father is the student of Imam Ali (peace be upon him). While Ash’arism are belong to Abu al-Hasan who is Ali bin Ismail bin Abi Bashar al-Ash’ari, a disciple of Abi Ali al-Jebaee and Abu Ali is one of the masters of Mu’tazila. Therefore, Ash’ari – at the end – belongs to the master and teacher of Mu’tazila: Ali bin Abi Talib (peace be upon him). The Imami and Zaidi belong clearly to Imam Ali. In knowledge, one of part of knowledge is jurisprudence, where Imam Ali is the bases and origins of this knowledge. All the Islamic jurists depend and make use of Imam’s jurisprudence. The companions of Abu Hanifa, like Abu Yousef and Mohammed and the others, took their knowledge from Abu Hanifa. Al-Shafi’i took his knowledge from Mohammed bin Hassan, whose knowledge is ascribed also to Abu Hanifa. Ahmad ibn Hanbal derived his knowledge from Shafei whose, knowledge is ascribed to Abu Hanifa. Abu Hanifa derived his knowledge from Ja’far ibn Mohammad (peace be upon him) and he derived his knowledge from his father Ja’far (peace be upon him) and ends up to Imam Ali (peace be upon him). As for Malik bin Anas, he derived his knowledge from Rabia, from Akrama, from Abdul Allah bin Abbas and Abdullah bin Abbas from Imam Ali. It is possible to say that Shafee derived his knowledge from Malik. The origin of Shiite jurisprudence is from Imam Ali. The jurists of the prophet companion were Ibn Abbas and Omar bin al-Khatab and both of them took their knowledge from Imam Ali. It is clear that Ibn Abbas took his knowledge from Imam Ali, but everyone knows that Omar used to ask Imam Ali about many problems. Omar said in many situations and many times (without Ali, Omar is dead) and his famous saying: (My Allah prevent me from facing any problem without Abu Hassan) and his saying (No one judge and Imam Ali is present). All sects narrated the prophet’s Hadeeth (The best judge among you is Ali). Another part of knowledge is interpretation of the Holy Quran. This part of knowledge was taken from Imam Ali and he established its branches. If anyone checks books of interpretation, he will know more about this aspect, because the majority of this knowledge was derived from Imam Ali and Ibn Abbas. People know the situation of Ibn Abbas that he was the discipline of Imam Ali. Ibn Abbas was asked: What is your knowledge in comparison with the knowledge of your cousin? Ibn Abbas replied: it is like a drop of rain in an ocean. All People have been aware that Imam Ali, who invented, created and dictated Abu al-Aswad al-Do’ali the bases of grammar. When he said to him that speech is divided into three parts: noun, verb and preposition and he divided the words into definite and indefinite and dividing syntax into nominative, putting a noun in the accusative, genitive, and apocopate (form or mood). This is almost a miracle because manpower does not meet this limitation nor derive this deduction. If anyone came back to birth characteristics, virtues, humanitarian, and religious, he will find that Imam Ali is in the peak of it. He made people forget who was before him and did not allow anyone to be mentioned after him. His statuses in the battles are immortal and will be remembered till the Day of Judgment. He is the courage who never ran away nor feared from army. He killed all people who fought him. He did not need for second strike that he used to kill his enemies with one strike. When Imam Ali called Muawiyah for fighting and finish the war, Amr bin al-As said to Muawiyah: he is fair man. Muawiyah said: you did not cheat me save today! Do you command me to fight Imam Ali and you know that he is the bravest! I think you coveted the Emirate of Sham after me! Arabs were proud to be standing in the war in front of him. Imam Ali is an example of power. In al-Ma’arif by Ibn Qutaiba: he (Imam Ali) knocked down all who fought with him. He uprooted the gate of Khyber and through it. A group of people gathered to turn the gate, but they could not do that. He who rooted up the great stone with his hand after the army could not uproot it and water flow. Ali’s status is very clear. He was fastening, starving, and prefer the other on his food. Allah revealed the holy verse in Ali: (They feed the destitute, orphans, and captives for the love of God, saying * We only feed you for Allah‘s sake; we desire from you neither reward nor thanks). The interpreters narrated that Imam Ali had only four Dirhams. He gave one at night, day, publicly and privately and Allah revealed (Those who spend their property for the cause of God, any time during the day or night, in public or in private …). It was narrated that he was watering some palm tree for Jews till his hands became hard and he was giving his fees as charity (Zakat) and tie a stone on his stomach because of hunger. Al-Sha’abi said about Imam Ali: he was the most generous man. He was on the way that Allah loves; generosity. He never said (No) for a beggar. Muawiyah who was his most hatred enemy said to Mahfan bin Abi Mahfan when he said to him: I came to you from the meanest person. Muawiyah said: Woe! How can you say that he is meanest person? If he has a house of gold nuggets and house of straw, he would spend the house of straw before the house of gold nuggets. He was sweeping the treasury house and praying in it. He who said: O gold, O silver. Go and lure other people and not me?! He who left no inheritance and the whole world was in his hand save Sham. He was the most forgetful man among people for the guilt and harmful. 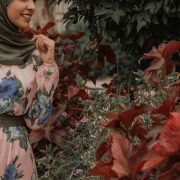 The truth of what we have said appeared clearly al al-Jamal Battle, when he grand victory over Marwan ibn al-Hakam who was his most hatred person, but Imam forgave him. Abdullah bin Zubair was cursing him publicly and in his speech in Basra, said: the scoundrel and mean Ali bin Abi Talib had came to you. Nevertheless, Ali ibn Abi Talib (peace be upon him) said: Zubair still one us; the prophet’s household. At the battle of Jamal, Imam’s army captive Abdullah, but Imam Ali forgave him and told him: Go I do not want to see you again. Also, Imam Ali caught Sayid ibn al-Aas after the Battle of al-Jamal and Sayid was his enemy, Imam Ali turned away from him and did not say anything to him. all people know what Aisha did, when Imam Ali granted victory against her at the battle of Jamal, he honored her and sent twenty women from Abd Qays with her and sent her to Medina. The women were dressing turbans and carrying swords. 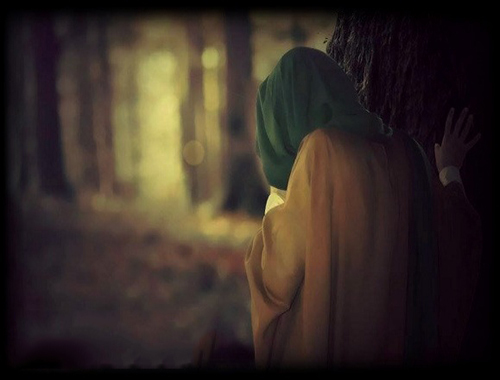 During the way, Aisha said bad things about Imam Ali and grumbled and said: Ali bin Abi Talib exposed me by his men and soldiers, who commanded them to be with me. When she reached Medina, the women throw their turbans and said to Aisha: we are women like you. People of Basra fought him, cursed and insulted him. When Imam Ali granted victory against them, he commanded to stop fighting and called in the military camp: do not follow who runs away, do not kill wounded, do not kill prisoner, whoever throws his weapon he is safe and who joins the camp of Imam he is safe too… He did not rip off their equipments and goods, captured their families nor stool their money. He can do that if want. But he refused everything save forgiveness, pardon and followed the Sunnah of the Messenger of Allah (peace be upon him and his household) on the conquest of Mecca, he pardoned and grudges are still high and the abuse did not forget. When Muawiyah controlled the riverbank, Imam’s companions told him to prevent water for Imam Ali and his soldiers and said: let them die thirsty, as Uthman died. Ali (peace be upon him) and his companions asked them to open the way to drink water. But the companions of Muawiyah refused and said: No, by Allah, neither you nor your army drink any drop of water and you will die thirsty as Uthman died. When he (peace be upon him) saw that death inevitably occurring. He marched with his companions and attacked the army of Muawiyah severely. Imam’s army defeated Muawiyah’s army and moved them from the riverbank. Muawiyah’s army became in the desert with no water. The companions of Imam Ali said to him: prevent them from drinking water as they did. Imam said: by Allah, I will not do like them. Open the water bank and let them have water and drink. We can kill them by our swords in the battlefield. It is well known for the friend and enemy that Imam Ali is the master of Mujahideen, as if Jihad is for Imam Ali alone. The greatest incursion that the prophet led is the battle of Badr, where seventy men were killed and Imam Ali killed half of them and Muslims killed the rest. For further information, check al- Maghazi by Mohamed Ben Omar Waaqidi, Tareekh al-Ashraf by Yahya bin Jaber Al-Baladhuri and other books. There is no need for redundancy in this aspect, because it is well known for everyone. Imam Ali (peace be upon him) is the master of eloquence and rhetoricians. About his words, it was said: his words are below the words of Allah and above words of human and from him; people learnt public speaking and writing. Abdul Hamid bin Yahya said: I memorized from the rhetoric treasure a hundred sermons of Ali bin Abi Talib. It was more than enough. It is sufficient for all people what Usman al-Jahidh said in praising Imam Ali in his book (al-Bayan al-Tabyeen) and his other books. Imam has high ethics, smile face, cheerfulness, and smiling. He was very well known of being so even his enemies considered that as defect. 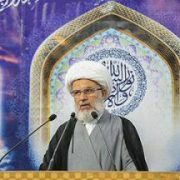 Sa’sa’a bin Souhane and other Shiites companions said: he was one of us, pliable, very humble and we were felling fear from him for his charisma. Imam Ali is the master of ascetics. He never fed up of any kind of food. His dress was of the harshest type. Abdullah ibn Abi Rafe said: one day during Eid, I visited him. He presented a sealed bag and I found him eating very dry bread from that bag. I said: O Commander of the Faithful, why do you seal it. He said: I feared from those two boys to mix it with fat. He was dressing patched cloth. The patches were from skin and fibers. His slippers were made of fibers. He was dressing a cloth made of white cotton fibers. He was dipping his bread with vinegar or salt. If he wanted higher food, he may eat vegetables. If he wanted higher food, he may take a little of camel’s milk. He used to eat a very little meat and used to say: do not make your stomach graves for animals. However, he was the strongest one. Hunger does not invalidate his power. He who divorced the world and the money was collected to him from all the lands of Islam save Sham and he was distributing it among poor. He was the most worshiper among people and Imam Ali was most people in prayer and fasting. From Imam Ali, people learnt night prayer and Voluntary Prayer. What is your opinion of a man keeps his religion duties to extent that he prays between the two armies at the night of Hareer and prays while arrows are located between his hands and pass on his head and he does not fear of that. What do you think a man who was his forehead like the callus of the camel for long prostration? When you think about his calls for Allah, soliloquy, and it content of glorifying for Allah, the submission for his majesty and reverence for Allah’s powers, you will know the real loyalty in his heart. It was said to Ali bin Al Hussein (peace be upon them), who was at the peak of worship: Where is you worship in comparison with the worship of your grandfather? He said: my worship in comparison with my grandfather’s worship is like the worship of my grandfather to the worship of the prophet (Allah bless him and his household). He is the promising in this aspect. 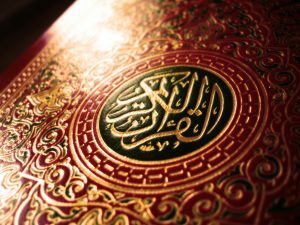 All people agreed that he was memorizing Quran at the time of the prophet of Allah (may Allah bless him and his household) and no one else memorized Quran. Imam Ali is the first person who gathered Quran. It was narrated that he was late in recognizing Abu Bakr as caliph. 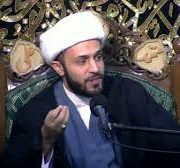 Narrators do not agree with Shiite that he delayed because he does not accept recognizing Abu Bakr as caliph, but they say: he was busy in gathering Quran and this is clear proof that he was the first who gathered Quran. If Quran was gathered at the time of the prophet (may Allah bless him), no one would be busy in gathering Quran after the death of the prophet. 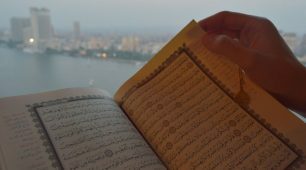 When you check the books of reciting Quran, you will find that the major Quran reciters come back to him, like Amro ibn al-Ala and Assem bin Abi al-Nejood and others, because they return to Abu Abdul Rahman al-Salami. Abu Abdul Rahman was his student, and he learnt the Quran from him. He has the soundest opinion among people. It is he who advised Omar bin Khattab when Omar determined to fight the Romans and the Persians war. It is he who advised Uthman of issues, if Uthman accepted it, the following accidents might not occurred. But his enemies said: he does not have opinion, because he was complying Sharia and do not break it. He works only according to religion. Imam said: Had it not for religion and fearing Allah, I would have been the most artful. The other caliphs were working according to what they think right and not according to the Islamic rules. There is no doubt that who works according to his opinion is not like who works according to the Islamic rules. He was great politician strong in executing the rules of Allah. He used to control his rulers and fought the enemies of Allah in Jamal, Safeen and Nahrawan. He did that to execute the rules of Allah and did that with his hand and his companions. Kings of the Turk draw his image on their swords. The image of Imam Ali was drawn in the swords of Ehd al-Dawla and the sword of his father Ruken al-Dawla. As if they are, optimize him. What can I say about a man whose father is Abu Talib the master of desert, Sheikh of Quraish, the head of Mecca. It was said: can the poor prevail? Abu Talib prevailed and he was poor and Quraish used to call him Sheikh. Afeef al-Kendi said: when Abu Talib saw the prophet (peace be upon him and his household) pray according to the principle of Islam and there was a boy and woman with him. abu Talib said: I asked al- Abbas, who is this? Al-Abbas said: This is my nephew, claims he is the messenger of Allah to people and no one followed him save this boy – who is my nephew too – and this woman, his wife. He said: What do you say about that? al-Abbas said: we are waiting of what Sheikh will do – means Abu Talib. Abu Talib is the one who maintained the Messenger of Allah (may Allah bless him and his household) since his childhood, protected him when he grow older and saved him from the hypocrites of Quraish. Abu Talib suffered a lot for sake of the prophet. It was narrated that when Abu Talib died, Allah inspired the prophet (peace be upon him) and told him: Get out of them, your supporter has died. Imam Ali has the honor of this fatherhood that the prophet is his cousin and he is the master of all nations. His brother is Ja’af who’s the prophet said to him (you are similar to me in body and ethics) and he went happy. His wife is the master of the women of the world; his sons are the masters of young people of heaven. 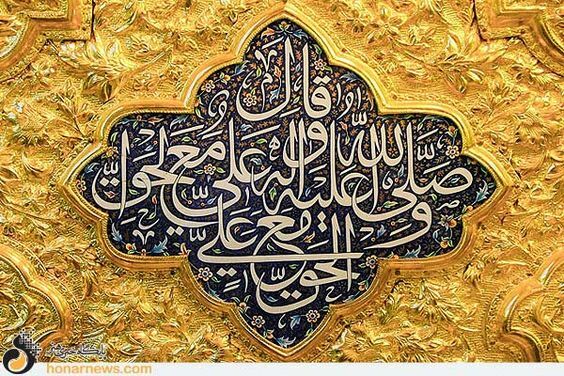 The fathers and mother of the prophet are the father and mothers of Imam Ali and they are linked by blood. They did not separate since Adam until Abdul Mottalib died and they became the masters of people; The prophet is the first and Imam Ali is the second. What can I say about a man preceded people in faith? He believed in Allah and his prophet, while all people were worshiping stones and denying Allah. No one preceded him in faith. It was narrated that Imam Ali is the first person who believed in Allah and a very few people contradicted that. If we want to explain his merits and virtue, we shall need volumes to cover them all. Is it Allowed to Convert to Islam And not Wear Hijab? Video: Why does Allah ask us to remember Him?